INTERMENT SERVICE FOR 1SG KIRBY HUNTER – SFC RODNEY J. T. YANO MEMORIAL DEDICATION CEREMONY – COLONEL JIMMIE LEACH MEMORIAL DEDICATION CEREMONY – BOOKS ABOUT BLACKHORSE – UPCOMING HOEDOWN and more . . .
Our thoughts and prayers remain with the Hunter family. Allons! The Maneuver Center of Excellence at Fort Benning will conduct a memorial dedication ceremony in memory of SFC Rodney J.T. Yano at 1030 hours, 23 March 2012. General Doc Bahnsen will be the keynote speaker. All are invited. There are no special requirements to access the dedication site, a Military ID or current drivers license is all that is required. Signs will be posted from the I-185 gate directing guests to the dedication site. The Maneuver Center of Excellence at Fort Benning will conduct a memorial dedication ceremony in memory of our 40th Colonel, Colonel Jimmie Leach. The ceremony is scheduled for 1400 hours, 23 March 2012. All are invited. There are no special requirements to access the dedication site, a Military ID or current driver’s license is all that is required. Signs will be posted from the I-185 gate directing guests to the dedication site. To accommodate our Blackhorse family, Fort Benning has scheduled both the SFC Rodney Yano dedication and Colonel Jimmie Leach dedication ceremonies on 23 March —- SFC Yano’s memorial dedication at 1030 hours and Colonel Leach’s memorial dedication at 1400 hours. Inquiries regarding Colonel Leach’s dedication may be directed to LTC Matthew Boal at matthew.a.boal.mil@mail.milopens in a new window. We received this recently from a friend of The Association. We are re-printing it here verbatim, with some minor edits for clarity. The names are arranged in the order in which they were taken from us by date and within each date the names are alphabetized. It is hard to believe it has been 36 years since the last casualties. Beginning at the apex on panel 1E and going out to the end of the East wall, appearing to recede into the earth (numbered 70E – May 25, 1968), then resuming at the end of the West wall, as the wall emerges from the earth (numbered 70W – continuing May 25, 1968) and ending with a date in 1975. Thus the war’s beginning and end meet. The war is complete, coming full circle, yet broken by the earth that bounds the angle’s open side and contained within the earth itself. The first known casualty was Richard B. Fitzgibbon, of North Weymouth, Mass. 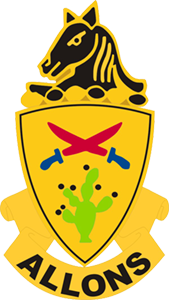 Listed by the U.S. Department of Defense as having been killed on June 8, 1956. His name is listed on the Wall with that of his son, Marine Corps Lance Cpl. Richard B. Fitzgibbon III, who was killed on Sept. 7, 1965. 997 soldiers were killed on their first day in Vietnam. 1,448 soldiers were killed on their last day in Vietnam. 54 soldiers on attended Thomas Edison High School in Philadelphia. I wonder why so many from one school. Beallsville, Ohio with a population of 475 lost 6 of her sons. The Buddies of Midvale – LeRoy Tafoya, Jimmy Martinez, Tom Gonzales were all boyhood friends and lived on three consecutive streets in Midvale, Utah on Fifth, Sixth and Seventh avenues. They lived only a few yards apart. They played ball at the adjacent sandlot ball field. And they all went to Vietnam. In a span of 16 dark days in late 1967, all three would be killed. LeRoy was killed on Wednesday, Nov. 22, the fourth anniversary of John F. Kennedy’s assassination. Jimmy died less than 24 hours later on Thanksgiving Day. Tom was shot dead assaulting the enemy on Dec. 7, Pearl Harbor Remembrance Day. Please pass this on to those who served during this time, and those who DO Care. 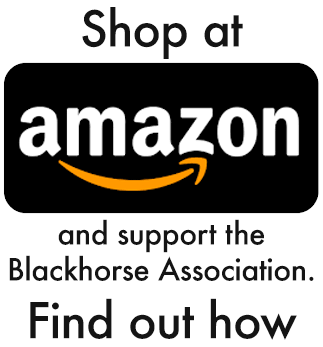 Applications for 2012 Blackhorse Scholarships must reach Dir. of Scholarships, Colonel (Ret) Bob Hurt no later than 1 April 2012. New applicants should follow the guidelines on our website found by clicking on this linkopens in a new window. For those previous recipients, your application process is somewhat streamlined. You must apply by letter with a letter of recommendation from a teacher/professor and a copy of your most recent transcript. All requirements and appropriate mailing addresses and contact info is provided on our website hereopens in a new window. Once you apply, it is imperative that you maintain a serviceable email address throughout the application, award and payment process. Steve Spriggs and the members of Post 291 have been faithful in providing scholarship donations to the association. Post 291 is one of our three leading annual donors. The 7th Annual Hoedown Fund-Raiser is scheduled for March 3, 2012 at their beautiful harbor facility in Newport Beach, California. See the flyer hereopens in a new window and if you are in the area, please plan on supporting Post 291 in this most noble cause. Thanks Steve and all members of Post 291. Allons! Glenn Snodgrass and his great crew have planned an interesting reunion during the period June 7 – 10, 2012. Please register early so the planners can insure our meetings and banquet halls are of adequate size to accommodate the various events. Our attendance numbers are growing each year and we need good estimates of attendance in order to insure we do not over commit for the various event venues. It is also recommended that you reserve your hotel room early. The hotel has a very satisfactory cancellation policy. More detailed reunion information is posted at www.blackhorse.comopens in a new window. Notice—- that is ".com". The same information may be found on our website at the Programs/Reunion Link at www.blackhorse.org. The Blackhorse Store is open 24/7 at www.blackhorsestore.orgopens in a new window. Shop often.